People like Jamie are the reason why we Race for the Cure. 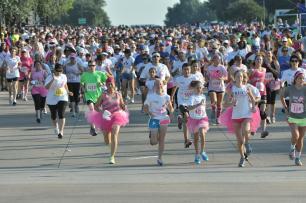 This event is the largest source of funding for the North Texas Affiliate of Susan G. Komen for the Cure. It allows us to pay for local breast health services like education, mammography, surgery, chemotherapy and radiation treatment and patient navigation (75%) and national scientific research (25%). Through events like the Komen North Texas Plano Race for the Cure, the Komen North Texas Affiliate has invested $9 million in local breast health programs in Collin, Cooke, Denton, Fannin, Grayson, Hunt, Montague and Wise counties and $2 million in national scientific research. 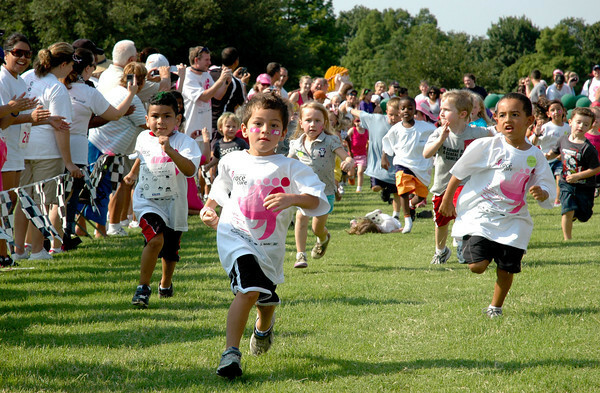 This year, nearly 9,000 people attended the Plano Race for the Cure, which includes the hundreds of volunteers who helped make the day possible. Participants had the option of running/walking either the Competitive 5K, the Casual 5K Run/Walk, and the 1 Mile Family Fun Run. Before the Competitive and Casual 5Ks, representatives from 24-Hour Fitness led the runners in a Warm-Up between interviews with several of the event’s sponsors. Runners wore Race day t-shirts, team t-shirts, and every imaginable pink item: socks, shorts, hats, and tutus. We’ve reached approximately $618,000 of our $800,000 overall fundraising goal for the Plano Race, which includes cash sponsorships, registration fees and participant fundraising. Our deadline is July 15, so there is still plenty of time to fundraise. If everyone gave an additional $31, we would be able to meet our goal. This could help pay for approximately1,200 more mammograms for North Texans. 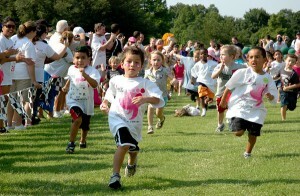 Participating children had plenty to keep them busy this year in the Kids for the Cure area. Activities included the 50-Yard Kids Dash, bounce houses, games, and crafts.